“Real estate texting” is a VERY popular way for people to communicate. In fact, texting about real estate might just be more common than you think. NP – Not Pre-Approved – Not good. If financing a home, one of the very first things you should do is contact a trusted mortgage advisor. If you are ready to begin searching for a home, we are happy to help point you in the right direction! SMH – Sell My House! We are happy to help! Have you outgrown your current home? We can certainly help find something that is a better fit. Maybe your current home is too large? It could be time to sell your house and “rightsize” your situation! WTF – Want The fridge? Typically, the built-in appliances like a stove and dishwasher convey with the home. If you want the fridge, we’ll need to be sure to add it to your offer! BRB – Bonus Room, Baby! – A den or extra bedroom can be cool. But, a man cave, she shed, home theater? Now we’re talking about a serious bonus room, baby! IDC – Immaculate Downtown Condominium – People love homes that are in immaculate condition. We have seen all kinds of people from baby boomers to millennials look to the convenience of condos in downtown areas. IMHO – I Might Hit the Open. OK, window shopping can be great. Put on a baseball hat and some shades and prepare to use a fake name when the open house agent asks you to sign in. Just make sure to grab a cookie and some punch while looking. DTF – Down To Flip – Some people just want a nice place to live. Others like to buy a home that needs some work. If you are down to flip, let us know. We can help! OMG – Offer More, Girl. This one cn certainly apply to guys or girls. It at first you don’t succeed, you just might have to offer more! 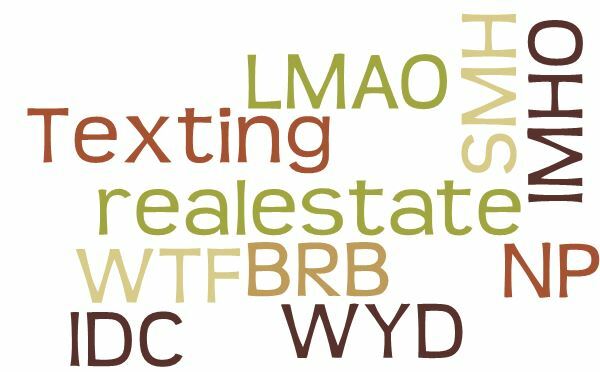 Real Estate Texting – Are Your Kids Doing It? I know that your little ones are glued to their phones for countless hours of the day, and I know they are texting their friends about anything under the sun. As a really good parent, I am certain that you are watching what they say to their friends. Right!?!? Please know that if you see any of these messages on their phone, they might be trying to tell you something. 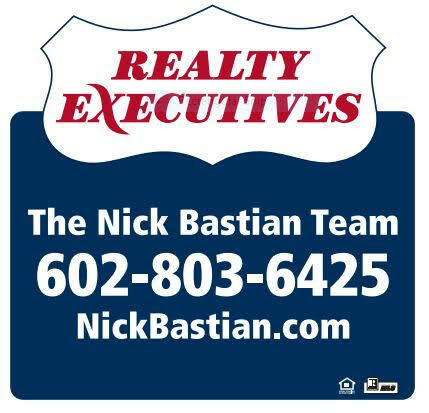 If it is clearly time for you move, just call / text the Nick Bastian Team at 602-803-6425 and LMAO! As always, we are here to help with all of your real estate needs! Can A Real Estate Deal Ever Just Be A Deal? I totally get it… Everyone wants a deal when buying a home. Right? Sometimes, people get so wrapped up in “making a deal” and hammering a seller on a price, that they end up paying more for a home than necessary, because they lost several properties because they wanted to hammer the seller for a really good deal. Eventually, in certain markets, they realize that paying asking price ( or more! ) can be a “deal”, even if you weren’t able to work your magic negotiating skills to squeeze someone for every last nickel. I’ve seen this happen a lot, and I never really thought it would make sense to write about it, because the tone of the post can be hard to explain. The last thing I am trying to do is to say that there is no negotiating needed when buying or selling a home! The reality is, knowing the market and knowing market conditions is a BIG part of knowing how much to pay for a property. 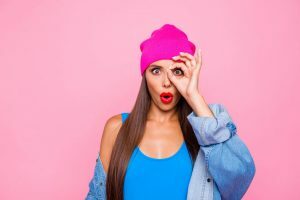 I’m just going to talk about a few examples and try to let people know why it is important to work with a REALTOR who looks out for your best interest. For some people, it is hard to take advice when buying or selling. 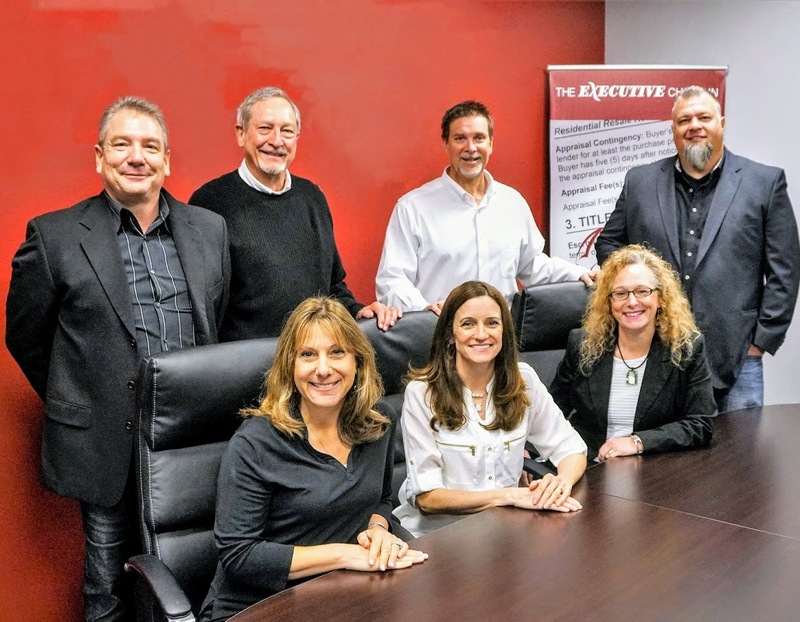 They know the market and they know how to make a deal… For others, advice is exactly what they want. They want direction, they want someone with experience who will help guide them through the home buying or selling process. Here’s an example that comes up a lot this time of year as people begin to try to find housing for their student at ASU. They often call from a state where the market is completely different than what it is here in Tempe. Many want a 3 bedroom home for Johnnie or Suzie with a garage in a really nice neighborhood for under $150,000. They saw one on Zillow, and they want to see some properties over the next few days while they will be in town. Here’s the problem: You won’t need a few days, you probably won’t need more than an hour, because IF a 3 bedroom home with a garage came on the market near ASU, there’s a really good chance it would be sold way before your head stopped spinning. A textbook example of someone wanting a deal near campus happened recently. A guy says that he wants a “nice gated community” for his daughter to live near campus. His budget began at $200,000. Um, that’s tough, because he also doesn’t want to “pay too much” for the monthly maintenance (HOA) fees. I showed him some gated communities in Tempe like North Shore, Regatta Pointe and over at Villagio. North Shore was “perfect” but the HOA fees are “too high” for him. Regatta Pointe also fit their criteria but only had one floor plan in his price range, so we’ll have to keep watching for new ones to become available/ Villagio? It is “kind of far” from campus. After looking around a bit and having several conversations about current market conditions, I mentioned a condo that we will be listing next week for $120,000. This one is near ASU at Rural and Broadway. I happen to know that this price point is VERY attractive for being so close to campus, and I believe the home will sell very quickly. The condo is not gated, but it is close to campus, so he thought he would like to see it. Without ever asking about what had recently sold in the complex, and without knowing what was for sale in the area, he mentioned that the home would need about $10k in repairs and that he would want to pay $110k for this condo. OK, great… Interestingly enough, the home wasn’t as “nice” as his wife wants for their daughter, so we will need to continue to search for them. My point here is the fact that the property could easily be worth the $120k the seller will be asking, but his “deal making” mentality never even put him in the game. By the way, when we did put the home on the market, it did sell in less than a week and we had “multiple offers” submitted. As the market continued to heat up, the buyer began to realise that he was missing out on properties that would have fit the needs of his daughter. Eventually, he figured it out. Believe Me: All real estate flippers are NOT equal. There’s a LOT of so-called expert real estate flippers out there who watch some get rich quick show like how to become a millionaire or Flip This House. After a few episodes, they are ready to take over the world. Like most well run businesses, the people who do well are those who have a business plan, pay attention to detail and know their market. Unfortunately, we often see homes that need some renovations and are purchased at a good price, only to be given a quick fix or band-aid before being put back on the market for top dollar. The idea is a good one. Buy low, sell high. That’s the name of the game, right? Here’s a scenario we came across recently. An investor with a few hundred grand laying around decides he feels like making some quick cash playing the flip this house game. They buy the home in a nice neighborhood, throws some paint on it, move a few walls, add some new cabinets, some wood-looking tile and some faux stone on the front of the home. The home was purchased for $331k and then re-listed for $495k approximately 2 months later. Comps in the area say you should probably be $20-$30k less than that number to be at the top of the market. While much of the work that was done appears to be significant improvements to the home, the attention to detail department failed miserably. I have included a couple of small examples below. Both examples probably wouldn’t take much of a budget or even a lot of time to complete. Now that the home has been listed for sale for a little over 2 months, maybe it’s becoming more obvious that changes should be made. Both of the examples below are from the front yard. Think “first impressions” for a potential buyer. 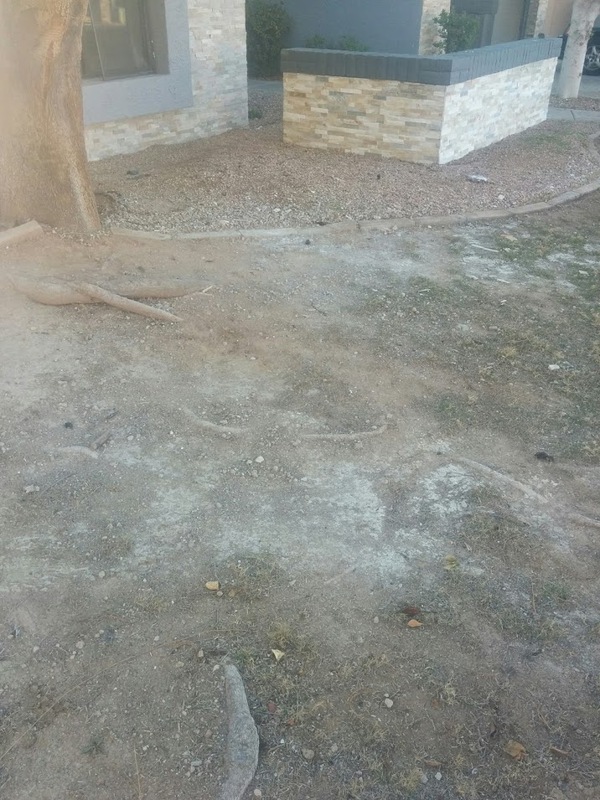 On the left, you’ll see the poor landscaping and remnants of construction materials. 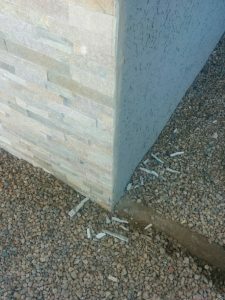 The photo on the right shows the “trimmings” from the new stone on the front of the home. Would it take more than 5 minutes to clean these up? Would these two things help make a better impression for people as they walk up to the front door? I left out the water leak at the front hose bib, but it was another example of a marvelous first impression due to the lack of attention to detail. Don’t get me wrong, the home absolutely looks WAY better than it did when it was purchased a few months ago. Much of the work was tastefully done and the upgrades certainly add value to the home. I just felt that there were small things that could have been done to help people with their decision to purchase this home. Around here, we prefer to dot the i’s and cross the t’s. The next flip that we are doing is coming up later this week, and you can bet that the small details will be considered along with the large ones. If you are looking to invest in real estate or would like to become a “real estate flipper,” you should probably keep some of these things in mind. Give us a call to discuss your options. We eat, sleep and breathe real estate, and we’d love to help you with your next home purchase, sale or flip.